Does this affect healing cards? I decided to give this a try with Warlock and it did not affect affect the healing of Drain Life. 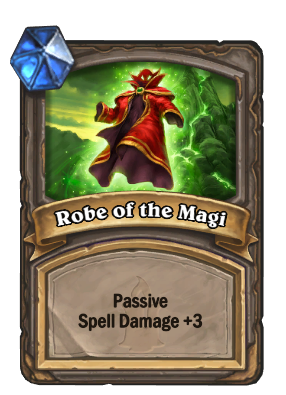 The new card text was "Deal *5* damage. Restore 2 health to your hero." Aside from the obvious use of making Toki’s spells unbelievably potent, this can also help Tess quite a bit. Suddenly, her Backstab, Fan of Knives, and Cheap Shot go from low cheap damage to deadly board-clearing spells. Her ability to Scavenge her spells back into her hand can make her spells just as potent as Toki’s! Does this affect the damage caused by Deathstalker Rexxar?